"Global Sports Brand PUMA has collaborated with local designer Daniel Ting Chong to create two new sneaker iterations; a vintage Duplex OG and a modernized version of it, the Duplex Evo. The Cape Town based illustrator and designer has created two distinctly African sneakers, by drawing on traditional Zulu and Xhosa mythologies." The OG Duplex features a premium nubuck suede upper consisting of an earthy colour palette. 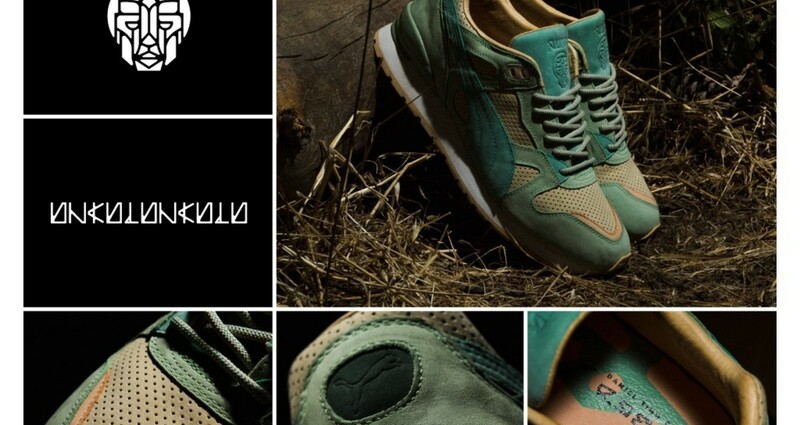 The green upper, the gum sole, and the accent rock-like colours are inspired by the Unkulunkulu mythology, which tells the story that he created everything from the land to the water, to man and the animals. The unique footbeds have been considered in the design of the OG Duplex, with the left having a chameleon and the right a lizard. This illustrates Unkulunkulu's command to send a chameleon to earth to tell the human race that they will be immortal. But, the chameleon became slow and lazy on his journey, so instead, Unkulunkulu sent a lizard to earth to convey the message that there will be death. The upper has functional perforations for breathability and custom debossed artwork of Unkulunkulu on the tongue. 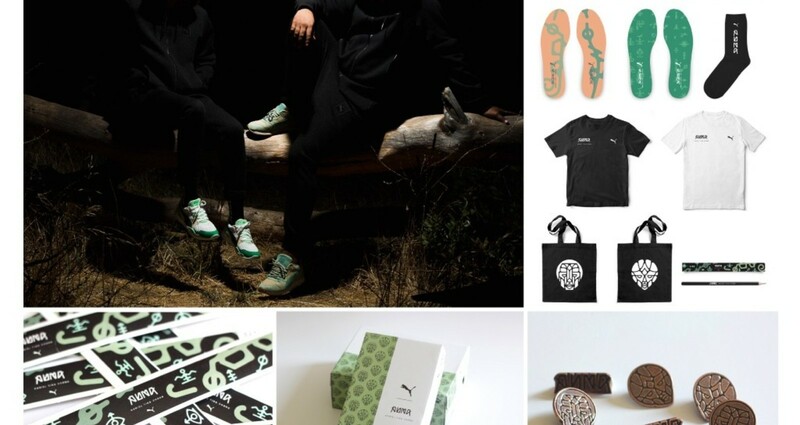 The heelcap embraces a custom typographic PUMA logo which has been specifically created for this release. It seemed natural to apply this mythology to the OG Duplex because this silhouette was the first of its kind, which coincides with the mythology of Unkulunkulu's original creations. A defining nickname for Unkulunkulu is ‘Before everything’. The Evo Duplex predominantly carries a lightweight mesh upper along the toe box and tongue. Offset from the lightweight mesh, the heelcap and edging of the toe box carry premium nubuck suede. 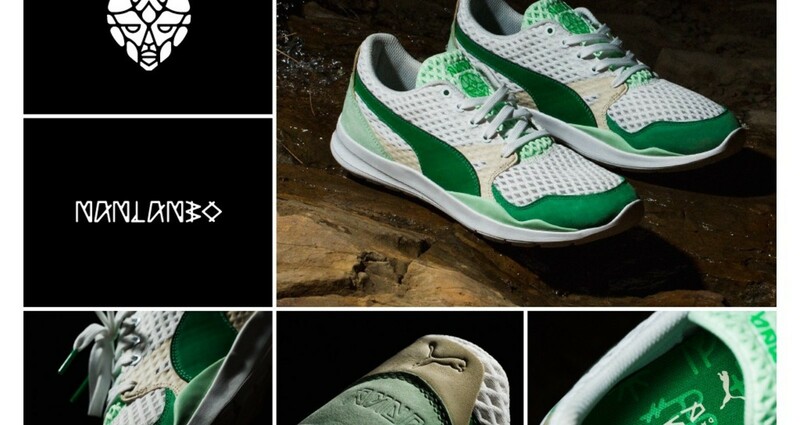 The custom typographic PUMA logo that has been created is branded on the heelcap and tongue. The colour palette consists of tones of greens that represent the Goddess of Rivers, Mamlambo. She is described as a giant snake-like creature that is an amalgamation of different species and resides in the Mzintlava River. The tongue carries a visual moniker of Malambo, while the footbed has custom symbols that serve as a visual spell to protect one's self from Malambo to prevent being lured into the river. Malambo is well suited to the Evo Duplex because just as the mythology of Malambo alludes to a form that resembles the synthesis of various species, so the Evo Duplex is the creation of a new hybrid created from different materials and technology.